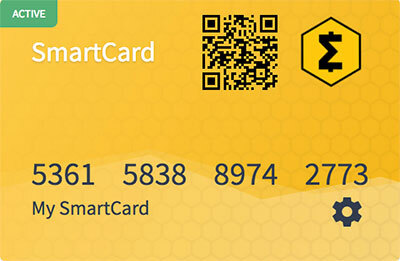 The SmartCard is a way to hold SMART on a physical card. You don't need a phone to hold your SMART. If you have ever had a problem with using a phone inside a building…you will get why this is ideal. Only the merchant needs the internet connection. As simple to use as a credit or debit card but not controlled by any 3rd party processor. And not a preloaded card using a visa fiat system…this is real crypto to crypto. UVEK PREUZMITE PAPIRNI/MOŽDANI NOVČANIK I OTVORITE GA SA PREGLEDNIKOM NEPOVEZANI NA MREŽU (OFFLINE)!